Russian actuarial laboratory. The Head. 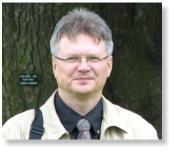 Vsevolod K. Malinovskii, Ph.D, D.Sc. Professor (tenured Full Professor) at the Finance academy under the Government of the Russian Federation (http://www.fa.ru/eng/, http://www.actuaries.fa.ru/eng/), and Professor (tenured Full Professor) at the Russian State University of Oil and Gas (http://www.gubkin.ru/en/). In 1982-2006 - at the Steklov Mathematical Institute of the Russian Academy of Science, Department of Theory of Probability (http://www.mi.ras.ru/). In 2001-2004 - Individual Member of the International Actuarial Association (this category of membership was cancelled in 2004). Held Visiting Professor positions, e.g. in the University of Copenhagen (1993, 1998), in the University of Montreal (2001). 38th International ASTIN Colloquium (July 13-16, 2008, Manchester, UK); talk "Zone-adaptive control strategy for a multiperiodic model of risk", 28th International Congress of Actuaries (April 28--May 2, 2006, Paris, France); talk "Risk theory insight into the asset-liability and solvency adaptive management", 34th International ASTIN Colloquium (September 24--27, 2003, Berlin, Germany); talk "On a non-linear dynamic solvency control model", 27th International Congress of Actuaries (March 17--22, 2002, Cancun, Mexico); talk "On risk reserve conditioned by ruin", 31st International ASTIN Colloquium (17--20.09.2000, Porto Cervo, Italy); talk "Price vs. reserve regulation conditioned by solvency requirements in the collective risk model", 26th International Congress of Actuaries (7--12.6.1998, Birmingham, UK); talk "Some aspects of rate making and collective risk models with variable safety loadings". V.K. Malinovskii is a member of the Board of Experts on Insurance Legislation of the Committee on Credit Organizations and Markets of the State Duma (http://www.duma.gov.ru/credit/page/ex_str.html), a member of the Working Party on Tariffs in Third Party Automobile Liability Insurance under the Ministry of Finance of the Russian Federation. V.K.Malinovskii offers consulting to the leading Russian insurance companies. Malinovskii, V.K. (2008) Risk theory insight into a zone-adaptive control strategy. Insurance: Mathematics and Economics, 42, 656-667. Malinovskii, V.K. (2008) Adaptive control strategies and dependence of finite time ruin on the premium loading. Insurance: Mathematics and Economics, 42, 81-94. Malinovskii, V.K. (2006) Risk theory insight into the asset-liability and solvency adaptive management. Contribution to 28-th International Congress of Actuaries, Paris, May, 2006. Malinovskii, V.K. (2003) On a non-linear dynamic solvency control model. Contribution to: XXXIV ASTIN Colloquium, Berlin, 24-27 August, 2003. Malinovskii, V.K. (2000) Probabilities of ruin when the safety loading tends to zero, Advances in Applied Probability, vol. 32, 885-923. Malinovskii, V.K. (1998) Non-Poissonian claims arrivals and calculation of the probability of ruin, Insurance: Mathematics and Economics, vol. 22, 123-138. Malinovskii, V.K. (1996) Approximations and upper bounds on probabilities of large deviations in the problem of ruin within finite time. Scandinavian Actuarial Journal, 124-147. Malinovskii, V.K. (1994) Corrected normal approximation for the probability of ruin within finite time, Scandinavian Actuarial Journal, 161-174. H. Panjer (editor), P. Boyle, S. Cox, D. Dufresne, H. Gerber, H. Mueller, H. Pedersen, S. Pliska, M. Sherris, E. Shiu, Ken Seng Tan. "Financial Economics:with Applications to Investments, Insurance and Pensions" (The Society of Actuaries, 1998). R. Kaas, M. Goovaerts, J. Dhaene, M. Denuit "Modern Actuarial Risk Theory" (Kluwer Academic Publishers, 2001). He re-published the book by S.E. Sawich. "Elementary Theory of Insurance and Pension Funds" (in Russian), published first in 1900 and then in 1909.